The Carbon Ankle Seven is used to fabricate dynamic ankle foot orthoses that provide a more natural and dynamic walking (gait) pattern. AFOs made with the Carbon Ankle Seven provide safe and effective support for individuals with non-functional foot lifting or lowering muscles or knee extension muscles. 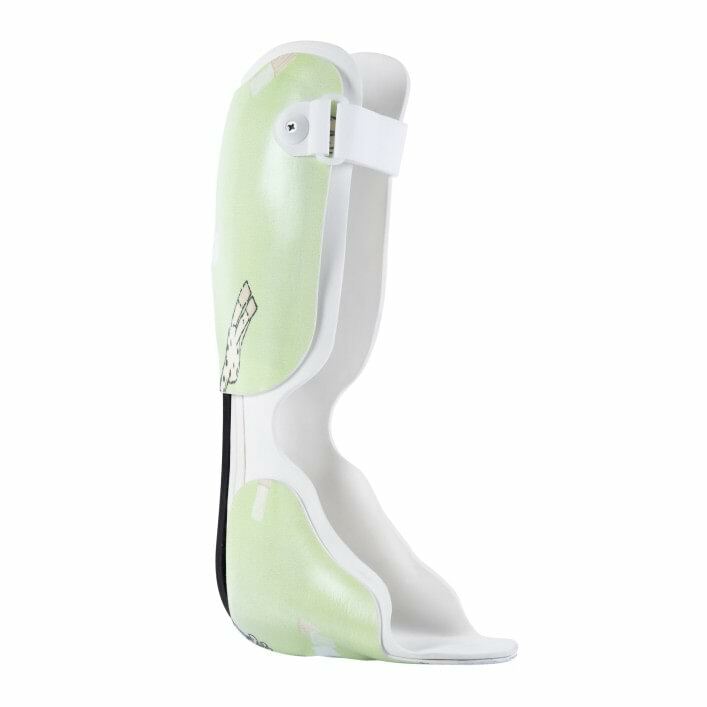 Carbon Ankle Seven carbon springs make it possible to build customized lightweight ankle foot orthoses that are extremely lightweight and can also withstand high dynamic loads – perfect for those who are active or participate in sports. The carbon spring as a component of the lower leg orthosis results in a more natural and dynamic gait pattern. Depending on the complexity of the requirements, you can wear normal shoes, 3/8" – 1 3/16". The orthoses are tailored to meet your individual requirements. The energy generated during heel strike is stored and returned again at toe-off. The carbon spring is turned slightly outward while walking – just like a normal foot. It also supports your movements – extension of the knee and hip joint which makes it possible for you to walk naturally. If you are active or participate in sports, your orthosis needs to provide support – especially for quickly changing running and walking speeds. The Carbon Ankle Seven is built for these requirements. Children in particular benefit from this. Who do I contact if I am interested in the Carbon Ankle Seven? Please contact your doctor or orthotist. You will be advised in detail whether the Carbon Ankle Seven is suitable for you. Who fabricates the orthosis for me? Your orthosis will be fabricated by your orthotist. The Carbon Ankle Seven is a special component that is incorporated in the orthosis. The entire orthosis is customised to your requirements. Can I shower with the orthosis or use it in the water? No, but with the from Ottobock, a waterproof walking aid is available which is designed especially for wet conditions. All of the components used are designed for contact with water. Is the orthosis also suitable for children? Yes, and it is adapted to their body size. Children want to play, run and climb. All of this is possible with the Carbon Ankle Seven. Your orthotist will choose select a carbon spring that corresponds to the weight and mobility needs of your child.Yes, and of course it is adapted to their body size. Children want to romp around, run and climb – and all of this is possible, which is among the benefits of the Carbon Ankle Seven. The orthopaedic technician will choose precisely the carbon spring that corresponds to the weight and mobility needs of the user. I wear a full leg orthosis. Can the carbon spring be installed for me as well? Yes! Many users of full leg orthoses also benefit from the value provided by the Carbon Ankle Seven. 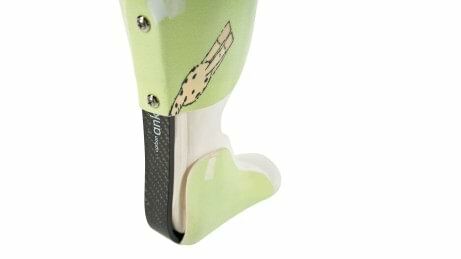 Your orthotist can provide you with detailed information.Yes, many users of complete leg orthosis also value the benefits of the Carbon Ankle Seven. Your orthotist will provide you with detailed information.